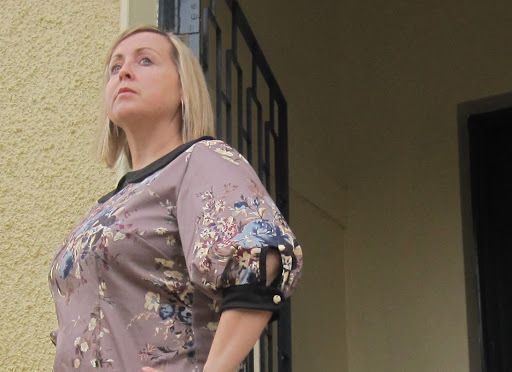 This is a self-drafted back button blouse that I made using leftover fabric from this dress – I loved the fabric and had just over a metre left over so thought I would whip up a blouse that I had envisioned. I I started with a dress pattern as a block and then reshaped it, added a peter pan collar and cut the back to allow for the button tab. 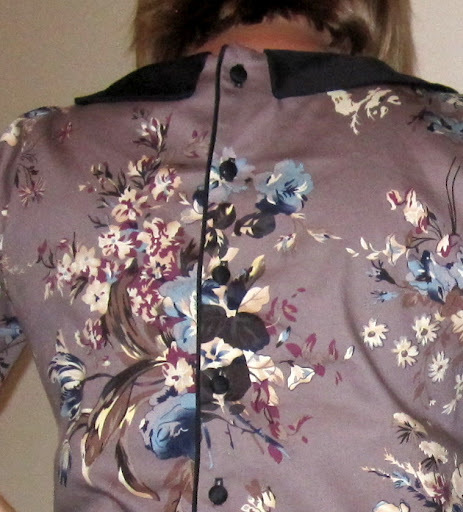 For the back I used buttons covered in the collar fabric and for the sleeves I used buttons covered in the main fabric. 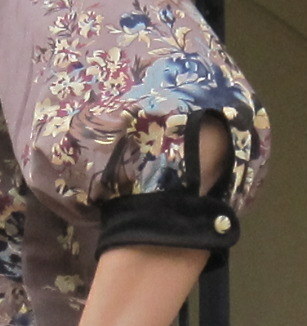 The back centre seam is also piped to further accentuate it. 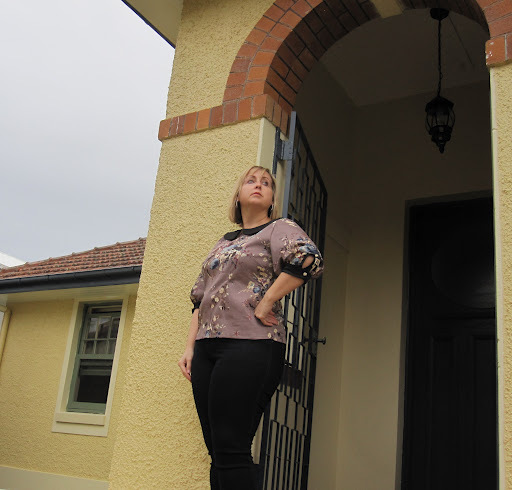 I think I will be doing more of these types of blouses as they are so easy to wear and go with jeans and skirts and are a bit more dressy than a t-shirt. The fabric is a cotton sateen, a bit heavier than that I would normally use for this kind of thing, but it is winter here at the moment so it seems perfect. I think this will be a good winter/trans-seasonal item in my wardrobe and with all the different colours in the pattern I am finding it seems to go with many things I already have. THis is so cute, I love the buttons in the back.. Happy sewing. Very pretty!! I liked your dress version as well lucky you had enough material. Back buttons look great to that's so in ATM hehe.